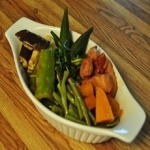 Mongo Guisado is a stewed mug beans mixed with sauted onion, garlic, tomato, and spices. 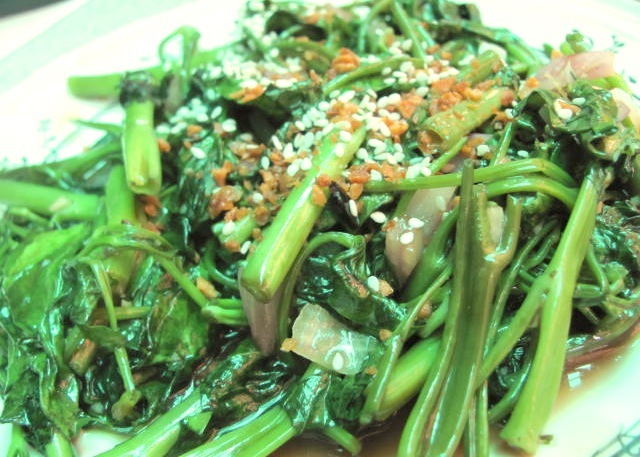 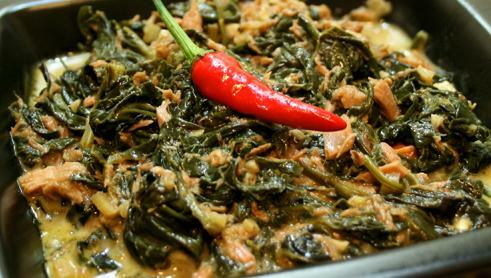 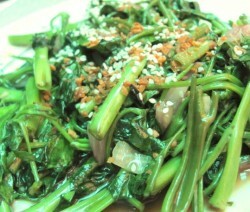 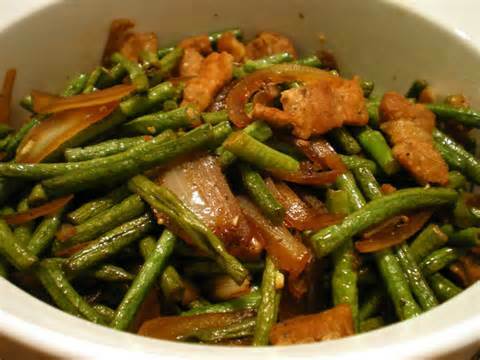 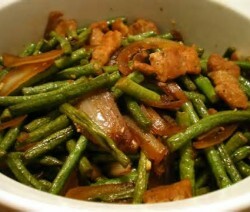 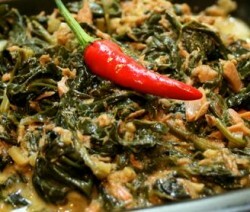 Adobong Sitaw (String Beans Adobo) recipe is a stewed string beans in vinegar, water, and soy sauce. 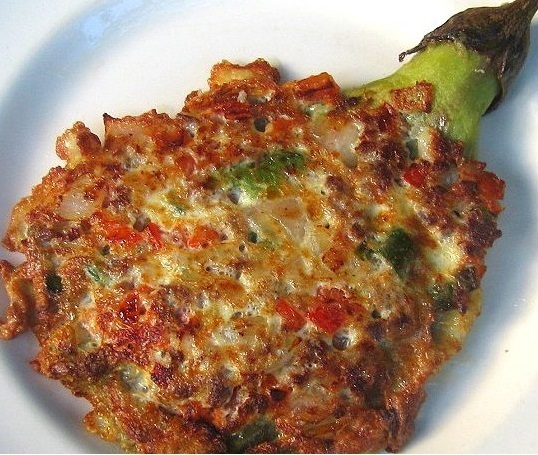 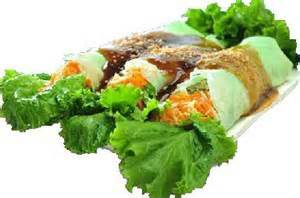 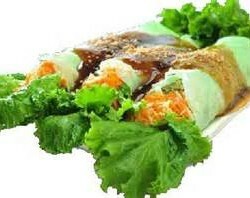 Eggplant Omelette or Tortang Talong in Filipino is a stuff cooked eggplant with well beaten eggs. 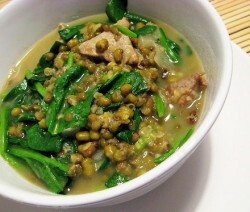 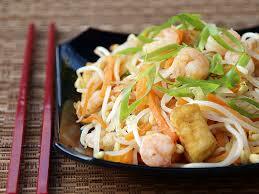 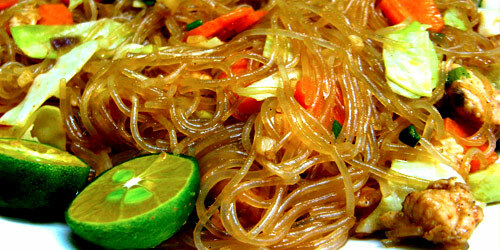 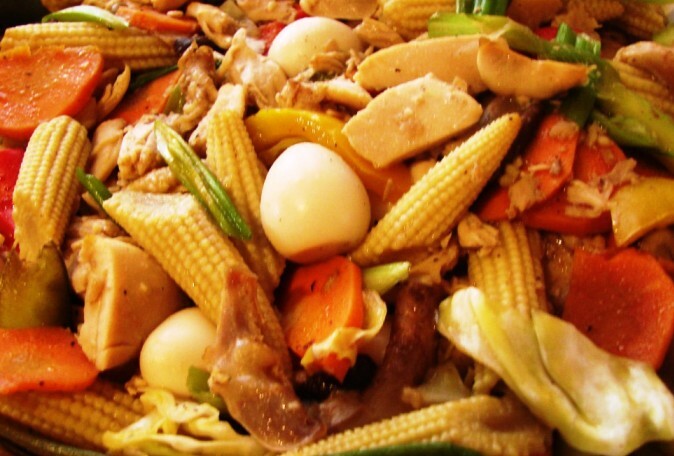 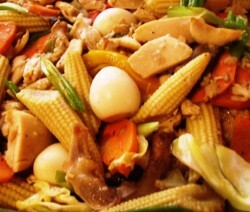 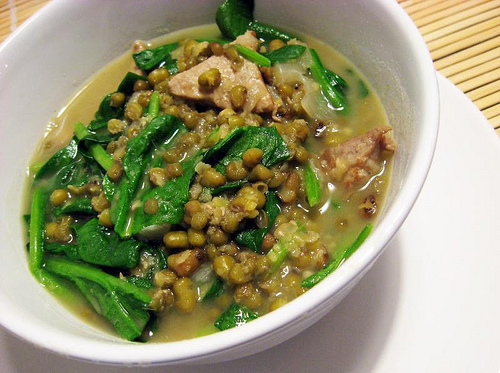 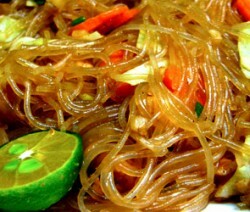 Filipino Chop Suey is a dish made-up of meat cooked with different kinds of vegetables bound in a starch-thickened sauce.